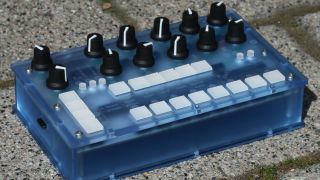 Will Bastl's new Thyme processor add a bit of FX flavour to your productions. MUSIKMESSE 2015: Bastl Instruments is showing off a prototype version of Thyme, a 'sequencable' hardware effects processor. Promising a range of classic effects - and the option to "explore the whole territory between them" - Thyme enables you to store settings using the preset button, and presets can be controlled using the 32-step sequencer. There's also LFO and parameter automation and both MIDI and CV connectivity. The full specs and pricing will be confirmed in the Autumn, and you can find out more on the Bastl Instruments website.